Applied Soils LLC is a research and design laboratory located in Berkeley, California, with special expertise in engineered soil design, characterization, monitoring, and long-term functional forecasting. Since 2011, Applied Soils LLC has assisted government, non-profit, corporate, and start-up entrepreneurs with soils related research and design to facilitate land rehabilitation, project compliance and product innovation in the soil technology sector. Morgan M. Williams (Principal) is a PhD Candidate in Pedology from the Department of Geography at the University of California, Berkeley. Over the past 10-years, Morgan has worked on soils related research and development projects in 15 states and 8 countries. 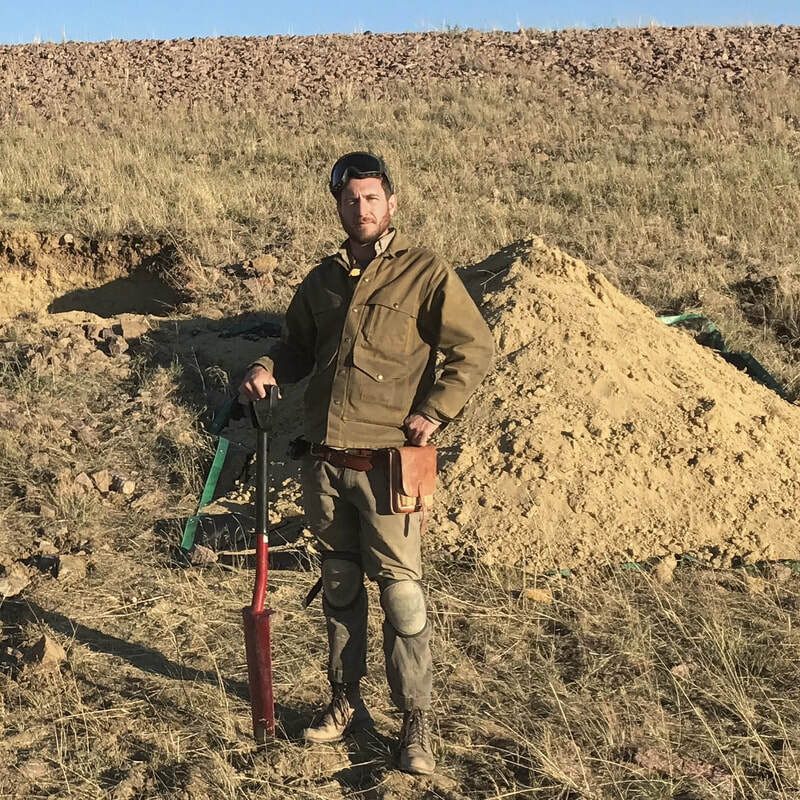 His dissertation, Pedogenic Process in Engineered Soils for Waste Containment, is being completed in collaboration with the United States Department of Energy and the Nuclear Regulatory Commission. He has spent the better part of his time since 2015 overlanding in the western United Sates in his custom 4x4 expedition van that doubles as a mobile soil laboratory. When not with friends, teaching, writing or assisting clients, you will find Morgan prospecting for earth pigments, fly-fishing, backpacking or honing his skills as an amateur water colorist.